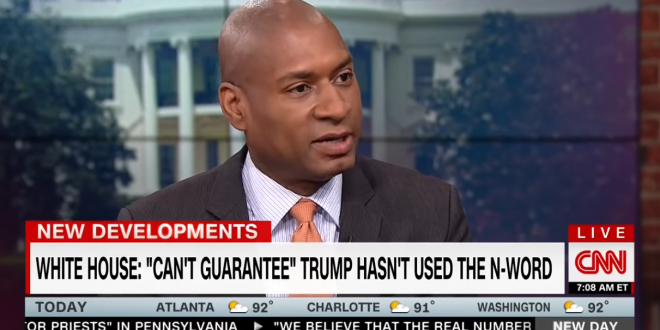 Charles Blow: If An N-Word Tape Is Ever Released, It Would Likely Only Increase Trump's Support [VIDEO] - Joe.My.God. “We would be insane if we kept questioning and saying this is a matter of opinion of whether he’s a racist or not. He is. People have cooked that into the books. I think that if you found the tape of him using the N-word, it might actually increase his support. This does nothing to them, they believe wholeheartedly in this approach, and none of these insults to people who look like me hurt them because it is not them. There is not a betrayal of their belief in him, there is not a betrayal in what they want him to do, this is what they want him to do. This is what they accepted. This is what they want.” – New York Times columnist Charles Blow, speaking this morning on CNN.